IRT William Beach Gardens hosted a customer transport review. Numerous aged care providers were involved. The review enables IRT to better understand the needs of customers, care workers and bus drivers. IRT is working to source buses to suit all users’ needs. The buses were lined up for inspection at the customer transport review day. IRT has a solid understanding of our bus users’ needs following a customer transport review. 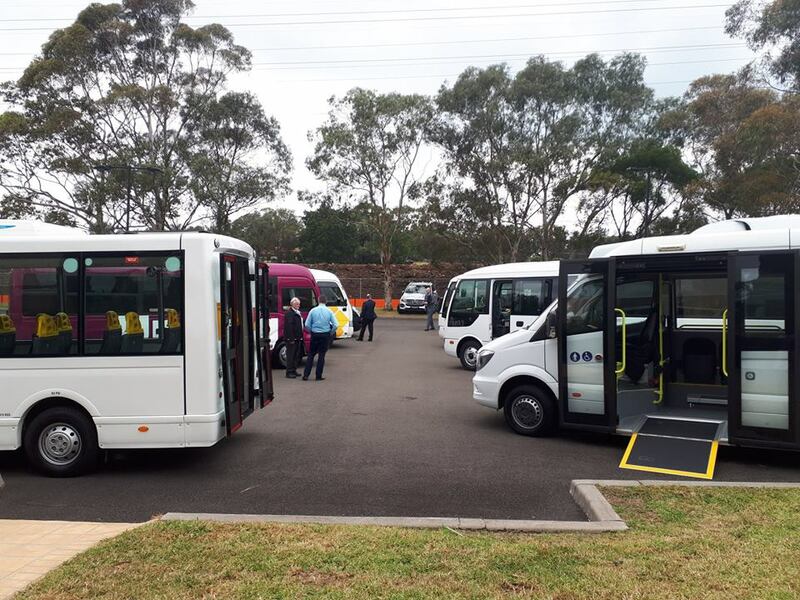 A customer transport review day was held in May 2018 at IRT William Beach Gardens to help develop an understanding of what to look for when buying a bus for an IRT community. On the day, eight manufacturers demonstrated buses with aged care transportation features, and these were reviewed by IRT residents and employees. IRT also invited a number of aged care providers to take part in the review, so everyone has a better understanding of options and needs. IRT Group CEO Patrick Reid says the review has enabled IRT to develop an informed understanding of the needs of our customers, care workers and bus drivers. The day included engaging our customers to climb in and out of the buses to better understand their restrictions, how the design impacts care workers and their needs, and the positives and negatives of each bus design. Further to this, the Group Head of Health Wellness and Safety and the Group Head of Procurement visited a number of vehicle interior installation companies, and endorsed a high top, long wheel base bus as the preferred option for IRT’s aged care centre customers. For our retirement villages we will be working with a company to provide buses with low-back seating and a special access step. 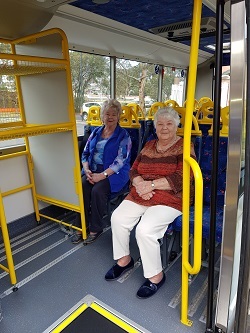 IRT William Beach Gardens' residents Valma McPherson and Betty Heidrich were on board with the customer transport review day.